Was Saint Feodor of Tomsk Really Emperor Alexander I? In Western Siberia, on the banks of the river Tom, sits the town of Tomsk. It was founded in 1604 by settlers from the European north of Russia. Those were people accustomed to the fierce northern climate and quite capable of working and living in extreme conditions. So the fierce conditions of Siberia did not scare them off. Tomsk was dubbed the gateway into Asia, since from there one could reach the beaten tracks into Peking, Mongolia, the Pacific Ocean. The founding fathers of Tomsk were people of Orthodox faith. Over time, the leadership of the Russian Orthodox Church founded an independent Tomsk eparchy there. That is where our road lies today, to make the acquaintance of the legendary local Saint – the Elder Feodor of Tomsk. “The Elder Feodor of Tomsk is one of the most revered Saints in Tomsk eparchy,” says its head – Archbishop Tomsky and Asinovsky Rostislav. “And widely known outside the boundaries of Tomsk is the legend of how hiding under the name of this Elder was Russian Emperor Alexander I. According to legend, the Emperor staged his own death in the town of Taganrog on November 19th 1825, setting off on pilgrimage across the holy sites of Russia. Eventually, he came to Siberia, and committed himself to Elderhood,” said the Archbishop. While author of the book about Elder Feodor Tomsky, that came out in Moscow in 2007, well-known scientist Marina Gromyko, insists that Saint Fyodor Tomsky and Emperor Alexander I are one and the same. To prove her point she quotes documents and numerous convincing testimonies of the Elder’s contemporaries. So it transpires that the legend about the Elder and the Emperor is more than the stuff of legends. Marina Gromyko insists that representatives of the Romanov dynasty were well aware of this truth. After all, it’s known that when in the reign of Emperor Alexander III the grave of Alexander I was opened, the sarcophagus was found to be empty. However, the Romanovs strictly guarded the family secret and avoided talking about this even amongst themselves, fearful of possible problems regarding the succession to the throne. St. John the Ladder defined the term ‘pilgrimage’ as “irreversible renunciation of all that … obstructs us in our striving for piety.” The Elder Feodor, with the modesty that was his inherent feature, referred to his own pilgrimage as “vagrancy”. He was often mistaken for a vagabond. It is known that on September 4th 1836 the Elder was riding a horse-drawn cart across Perm region. This is the Urals. The police stopped him to check his papers. However, he had no documents on him. So they promptly took him to the police station and six days later his case was heard in court. The old man was very tall, of pious noble looks, generally pleasing manners and ways. All this couldn’t but dispose the judges in his favor. However, all their requests to reveal his identity, inform them of his rank and calling, and say where he was going, fell on deaf ears. As a result the old man was sentenced to 20 lashings. They deliberated the possibility of a soldier’s life for him, but his age ruled that out. So then the decision was made to exile him to Siberia. Curiously, the Elder seemed quite pleased with the sentence. However, using his illiteracy as excuse, he had someone else sign the court ruling. In the meantime, many of those who personally knew the Elder insisted he was not only literate, but boasted an excellent education. However, all of his life he feared lest a sample of his handwriting find its way into the hands of the authorities. The refined manners of the Elder Feodor amazed the convicts that he found himself amongst. Besides, the old man was very kind, compassionate, cared for the sick and weak, and had a word of kindness for every person. Soon he was the general favorite, loved by officers and soldiers, who accompanied the exiles, as well as by the hundreds of convicts. At stopovers during the night he was accorded a special shelter. The Elder enjoyed such all-round trust that he was the sole one of the convicted not to be shackled. On March 26th 1837 the convicts (with Elder Feodor among them) reached Tomsk. This was a time when the town was in the grips of gold-mining fever. It had started after gold deposits were discovered in one of the regions of Tomsk gubernia. Historian Potanin, describing what took place in Tomsk at the time, remarked: “Lackeys were turning into rich folk, while their one-time masters went broke.” Neither sermons nor persuasions could have any effect on the gold diggers. The sole way of impacting the lives of the restless souls was by personal example of piety. The life of Elder Feodor became just such an example to emulate. Hegumen Siluan Vjurov, superior of the St. Alexi Monastery, where Elder Feodor’s holy relics are kept, says that despite his age, and he was over 60, Elder Feodor led a strictly ascetic lifestyle. He slept on a bare plank, with a wood block for a pillow. He wore a long white shirt of thick sackcloth. He ate very little – once or twice a week. His main staple was rye rusks moistened in water. Besides, he ate baked potatoes complete with the skins and liked black cherry berries. People who visited him brought him various food offerings, but he accepted only bread for himself, giving all else away to the needy. For his pious life the Elder was granted by God the gift of spiritual vision and ability to cure people. He used his gift to serve people, and was their spiritual mentor. He could discern the spiritual condition of every person, human vices could not be concealed from him, and he tried to warn people from making erroneous steps in life, although, generally, he never aspired to the role of spiritual Father. After all, he was not a clergyman or a monk,” said Hegumen Siluan. Elder Fyodor spent the first five years of his Siberian exile in the village of Zertsaly outside Tomsk. One of the local Cossacks, noticing the Elder’s penchant for seclusion, built him a cottage in the Cossack settlement of Beloyarskaya. There the pious Feodor could pray undisturbed. Nobody saw how or when he prayed. However, after his death it transpired the Elder’s knees were covered in calluses. He observed the fast with conviction, without ever demanding of others that they follow his example. The Elder walked from village to village in the district, teaching the youngsters their letters. However, he never made attempts to sermonize or dictate to either young or old, never offered unwilling advice. So, perhaps, this explains why people flocked to him for advice in thousands. The Elder Feodor was not only of tremendous height, but remarkable strength, too. He could easily lift a whole hayshock with the pitchfork and moved about logs with ease. In a word, this was a kind and clever giant. Elder Feodor lived tranquilly in the settlement of Beloyarskaya until one of the local priests recognized him. This was Ioann Alexandrovsky, exiled from St. Petersburg to Beloyarskaya for some misdemeanor. Since Father Ioann had seen the Emperor many times he openly announced that hiding under the guise of Elder Feodor was the Russian Emperor. Elder Fyodor made haste in leaving the settlement. Many well-to-do peasants from nearby villages invited him to take up residence at their homes. However, he accepted the invitation of the poorest of them all, a former convict, father of a large family, Ivan Malyh. The Elder spent the winter in his house. Afterwards, the peasants constructed a cell for him, converting an old sheep barn, where he lived ten years. After that the Elder was invited by peasant Ivan Latyshev from the village Krasnorechenskoye. He built a cell for the pious Feodor right near the apiary. Not unnoticed were visits made to the Elder by high-ranking folk. For example, many recalled how Hierarch Afanasiy Irkutsky came to see the Elder. And what stunned the local people was that the Elder conversed with the hierarch in the French language. Elder Feodor spoke in the same language to other nobles visiting him. “In November of 1852, passing through the village Krasnorechenskoye, I wanted to see the Elder Feodor, about whom I had heard from the monk Porphyri of Holy Mount Athos. The Elder was living at the time near the apiary belonging to peasant Ivan Latyshev… That was my first encounter with the righteous Elder Feodor. Upon arriving at his cell I quietly said a prayer to Jesus and stepped in, as the door was unlocked. Upon entering the cell, I once again prayed to the Lord, then saw the grey-haired elder and greeted him. He said a lot to me regarding my business but this is what I remember particularly: 'It’s a shame you are in this gold trading business,' the Elder said, 'God feeds you without it, you know.' He also said that we do much to incense the Lord and the Holy Mother of God, but their mercy towards us, sinners, is truly boundless.' He gave me counsel on how a true Christian ought to live. One need not busy oneself so much with the stuff of life, but had better reflect on the future life, in God’s Kingdom. After this I began to see the Elder on every occasion I passed by his residence, and upon each visit of mine he told me not to increase the number of my gold mines. 'You have enough,' he said, 'you shall not want for anything.' And he would always add that I should not work on weekends. 'This work,' he said, 'takes from you all that is beneficial and is a great sin.' He warned me to always deal honestly with the workers employed by me and never cheat them out of a single coin. When once my brother didn’t allow me to have a share in his horse trading business, and I told the Elder about this grievance of mine, he said: 'What can you do? Grief comes from thieves and from ones kin, too: you must have patience; the Lord will help to deal with this sorrow, all you must do is pray to Him and the Holy Virgin.'" Merchant Semion Hromov at length tried to persuade Elder Feodor to move in with him in Tomsk. Towards the very last years of his life the Elder accepted the merchant’s offer. Accepting the invitation of merchant Semion Hromov, Elder Feodor, as a devout ascetic, was hardly seeking particular comforts. In taking this decision he relied exclusively on the will of God, which had been revealed to him some 20 years before his encounter with Semion Hromov. 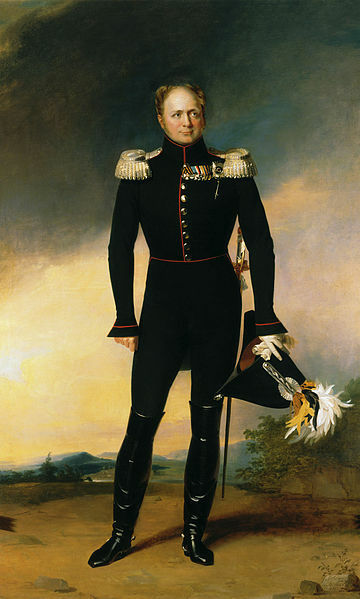 In 1837 it was predicted to him that he would be residing in Tomsk at the home of a merchant. The Elder moved to Tomsk on October 31st 1858. To begin with he occupied the attic in Hromov’s house, and later – a specially built for him cell in the woods, some 4 kilometers out of town. Later on, the merchant Semion Hromov built a special cell for Elder Fyodor in the garden near his house, where the latter lived out the end of his days in solitude, rigid fast and constant prayer. The degree of care shown him was established by the zealot himself. So the lifestyle of the Elder in the town of Tomsk didn’t much differ from the life he had led in his village retreat: the same asceticism in his cell, food and clothes. The wife of a guardsman living nearby, Klavdiya Chernysheva, said that as she came out late one evening she saw such an unusual light in the Elder’s discarded cell that she became afraid. There were also numerous testimonies that a fragrant odor was felt in the former cell long after the Elder’s demise. On occasion choral singing of prayers could be heard coming from the ascetic dwelling of the Elder Feodor. There was an unearthly quality about that singing. A chorister of the Tomsk bishopric Ivan Yefimov confirmed hearing it. In the last years of his life the Elder only left his cell to go to church. The St. Alexi Monastery was not far from the Elder’s residence. Elder Feodor maintained constant contact with the brethren there and the Father Superior Archimandrite Victor Lebedev. The latter was a highly educated and extremely kind man. No one ever left him without receiving the help or advice they had come seeking from him. Archimandrite Victor displayed tremendous respect towards Elder Feodor and never embarked on a single serious deed without the latter’s advice and blessing. This was confirmed by people who knew them both. Tomsk was a gubernia town. Representatives of all the classes began to visit Elder Feodor. Such was the latter’s reputation that even the Governor deemed it his duty to drop in at the Elder’s cell and converse with him at length eye-to-eye. These conversations touched on matters of spiritual life and outstanding public issues. The Elder was just as well-versed in matters of state and public life as he was in the spiritual side of things. We would like to add that the ‘fool for Christ’ Domna herself is a locally honored and venerated Saint. In the Tomsk period of his life Elder Feodor regarded merchant Semion Hromov in the light of his closest spiritual child. The merchant was totally devoted to the zealot and sincerely did his best to aid him in everything. Elder Feodor responded to this in kind by displaying tremendous trust in the merchant and informing him of many miraculous visions that had been sent to him from above. The merchant’s eldest daughter Anna also had a strong spiritual connection to Elder Feodor. Generally, the entire Hromov family honored the Elder in his lifetime and after his demise. The Elder helped members of this family also long after his death. Thus, the merchant himself and the husband of his youngest daughter Zinoviya were cured of grave illnesses after drinking water which had been poured over a likeness of the Elder made when he was still alive. On January 20th 1864 Elder Feodor sighed thrice deeply and on the fourth, inhaling quietly he passed away without a moan. In those minutes the Hromov neighbors witnessed a veritable miracle: they saw how a huge flame of fire leaped out of the merchant’s house three times… But there was no fire…. Residents of Tomsk who gathered various witness accounts of the demise of the Elder noted: "News of the death of Elder Feodor swiftly spread across Tomsk and its environs. Crowds of people surrounded the Hromov house where the mysterious hermit had spent his last breath. So great was his popularity that everyone, beginning with the local aristocracy and ending with the beggars, which the Elder always gave generously to, rushed to pay their last respects to the wondrous Saint. 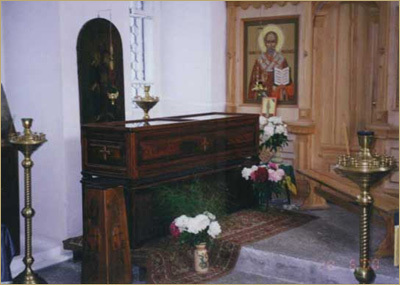 The Elder was buried near the altar of one of the churches of the St. Alexi Monastery. Miracles that occurred in the Elder’s lifetime continued at his funeral dinner. Beverages and food were prepared for around 30 people, while in actual fact there were over 80 guests attending. Nonetheless, according to witnesses, there was food and drink enough for everyone, with plenty left over, too. And another thing. 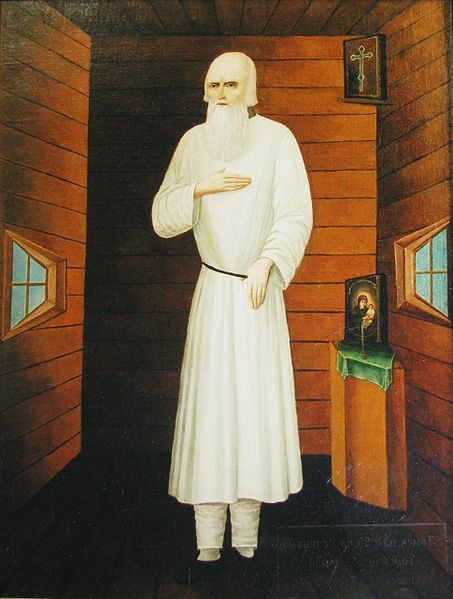 When after the burial service merchant Hromov gave the nun Sarra, who could barely stand due to her debilitating illness, the portrait of Elder Feodor to kiss, she became cured that instant." Yevgenia’s acquaintance Nataliya Zelenova, a Tomsk old-timer, insists that only prayers addressed to Elder Feodor helped her and like-minded to preserve the historical part of the town with its unique wooden houses from destruction. “Here is a house that is 151 years old,” Nataliya Zelenova says. “I have lived here all my life. They intended to demolish it, along with a number of similarly unique buildings, to construct on their site some panel housing. We are activists for the protection of historical monuments, so we marched with slogans and banners in protest against the barbarous destruction of unique historical sites. But it was all in vain. The authorities refused to hear us. Only after we prayed to Elder Feodor did we manage to get a response from the powers-that-be. As a result in 2005 a program was adopted for the preservation of ancient wooden architecture in Tomsk. Thus, the Elder is a patron of our town, helps us protect it,” said Nataliya Zelenova. There was a place in Tomsk which the Elder particularly loved visiting. It’s the place where a spring falls into the river Ushaika. Today the spot is a pilgrimage site for people from across all of Siberia. And at the end of the 19th century the last Russian Emperor Nicholas II came here. The image of the mysterious Elder always intrigued the minds of representatives of the Romanov dynasty. However, they didn’t dare speak publicly about this. Proof of Elder Feodor being none other than Emperor Alexander I could cast doubt over the legality of the succession to the throne. Once upon coming to Elder Feodor’s cell merchant Hromov stood before him on his knees and asked: “Word has it that you are none other than Emperor Alexander the Blessed. Is this true?” Upon hearing this, the Elder made the sign of the cross and said: “Wondrous are Your deeds, Lord. There is no secret that shall not be revealed”… And after the Elder’s demise, on February 2nd 1864 a sign was discovered behind the icon of the Mother of God that hung in his cell – it was the royal monogram, the letter A written in his hand. “We see before us a sacrament of holiness which, in my opinion, cannot be put to any doubt. 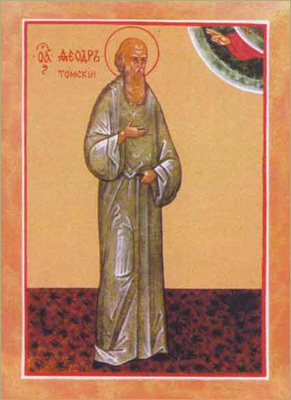 For certain, St. Feodor of Tomsk was a devout zealot and in this respect I feel him answer my prayers. As to who he was in the past – I believe this is a secondary issue, although, without doubt, it is important. Particularly for our time. For if, indeed, he was the Emperor, truth of which is substantiated by numerous convincing arguments, then it transpires that a man at the summit of power and glory chose to willingly opt for something greater. And this something is the Lord. And example like this is very important for the people of today, often lured by earthly attractions and boons, to the point of growing oblivious of the Heavenly Kingdom. There is something so much greater than success here on earth, something more important and wonderful, spiritually gratifying,” said Hegumen Siluan.